Abstract: Over half of England's secondary schools are now academies. While their impact on achievement has been debated, the social and cultural outcomes prompted by this neoliberal educational model has received less scrutiny. 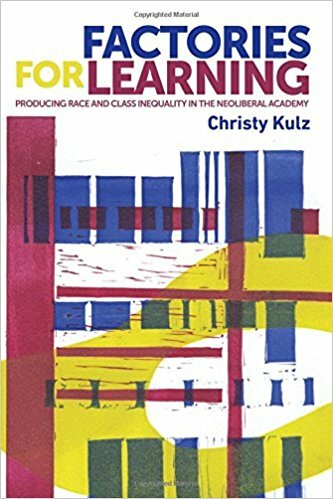 This book draws on original research based at Dreamfields Academy, a celebrated flagship secondary school in a large English city, to show how the accelerated marketization and centralization of education is reproducing raced, classed and gendered inequalities. The book also examines the complex stories underlying Dreamfields' glossy veneer of success and shows how students, teachers and parents navigate the everyday demands of Dreamfields' results-driven conveyor belt. Hopes and dreams are effectively harnessed and mobilized to enact insidious forms of social control, as education develops new sites and discourses of surveillance.